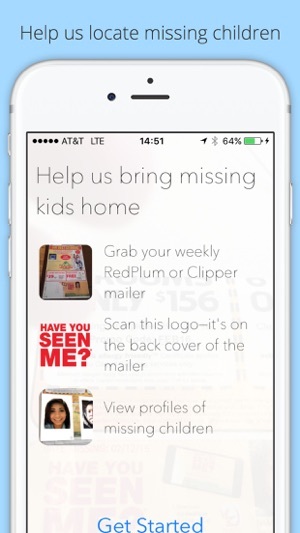 Actively help in the search for missing children by viewing photos of those last seen in your area. 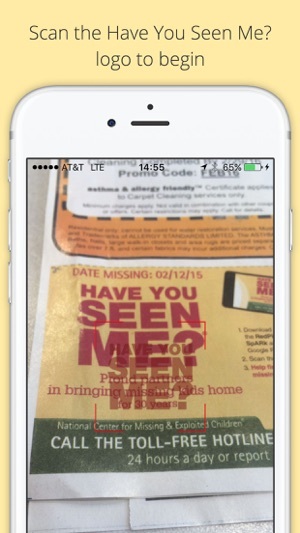 Start by scanning the “Have You Seen Me?”® logo on RedPlum® or Clipper® mailers that deliver advertising inserts to over 70 million U.S. households each week. Together we can help safely recover these children, delivering hope to them and their families. In partnership with the National Center for Missing & Exploited Children (NCMEC) and the U.S. 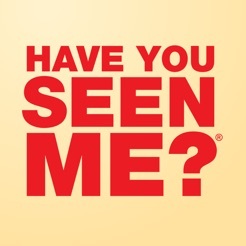 Postal Service, Valassis distributes pictures of missing children as part of our Have You Seen Me?® photo program and has been doing so for over 30 years. To date, 158 children have been recovered as a direct result of this program. 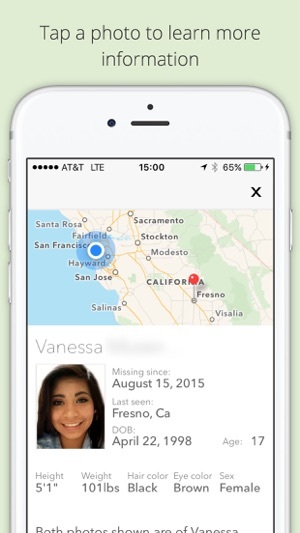 This is a fantastic idea to help find missing people but it’s an awful functioning app. Maybe someone could volunteer that knows how to makes apps? If it worked right, it could save so many more people! I know there’s people missing from my area but. One of them showed up. I got someone from DC and Medford and only about 10 people total showed up. This type of app should be a priority!! 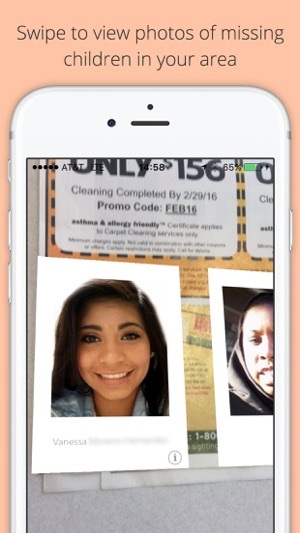 I love the concept of this app. I do think the scanning the pictures and seeing others in the area is nice but there needs to be a way to at least save those in my phone so when I’m out and about I can pull them up instead of having to carry a paper to scan in my phone. I love the map and seeing like about where their location is but this app needs to be more reliable if I’m actually going to be on the lookout for missing people. The scan worked fine for me. I held it carefully until it seemed to work, only a few seconds. Going through the pictures is a little clunky and I wish I could make the age enhanced pictures bigger as they’re a little hard to see. But the app works for me. 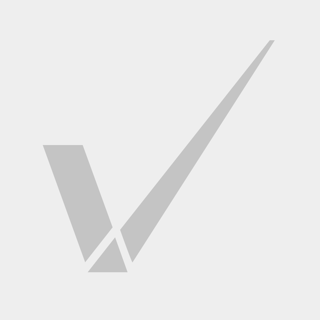 © Copyright 2016 Valassis Communications, Inc. All Rights Reserved.